The use of opioids has become an epidemic in the U.S., leading to swathes of overdoses all over the country. Some people in power see this as a warning for work that needs to be done in communities and doctor’s offices to prevent addiction. Others see it as a money-making opportunity. In a post for New York magazine’s Daily Intel, Eric Levitz rounds up the extreme cost hikes on a drug called naloxone. Naloxone was introduced to the market in 1971, and was the first overdose cure for opioids. The drug itself doesn’t cost much and no longer has a restrictive patent. But the most popular form of the drug has a complicated delivery system, much like the wildly overpriced EpiPen. Evzio is an injector produced by Kaléo Pharmaceuticals, originally in response to the EpiPen, that has a built-in recording device that makes the naloxone far easier to administer, as it walks you through the steps. Each formulation of naloxone — two injection doses, Narcan nasal spray, and Evzio auto-injector — essentially has one supplier. Though there are three manufacturers with FDA approval for 0.4-mg-per-milliliter-dose injections, the vast majority are sold by Hospira, which has increased the price by 129% since 2012 (see table). Only Amphastar manufactures 1-mg-per-milliliter injections, the dose used off-label as a nasal spray, which currently costs $39.60 after a 95% increase in September 2014. Newer, easier-to-use formulations are even more expensive. Narcan costs $150 for two nasal-spray doses. Levitz points out that Kaléo has donated many of their Evzio devices to drug treatment centers and cities, but the donation supply dried up in July of 2016. 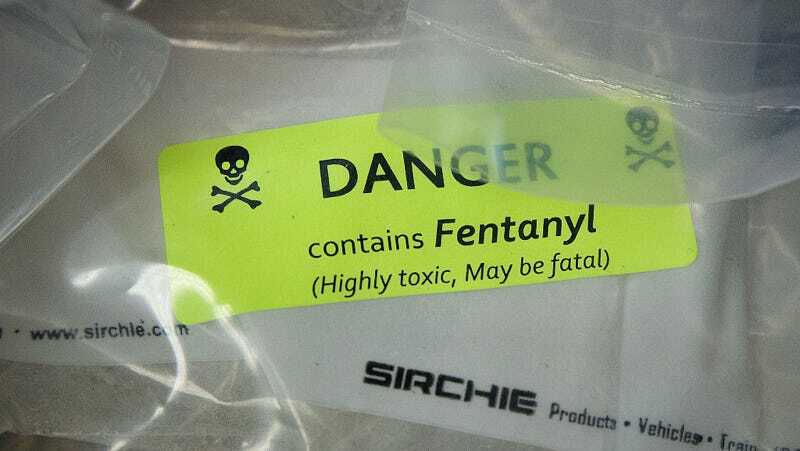 CNN reports that the CDC said in 2015, overdose deaths from synthetic opioids had risen by 73 percent, heroin death by 23 percent, and prescription opioids by 4 percent.